Jeans was designed for the greasers-working class youth initially.There after it became sort of symbol of disobedience, largely used by youth in general.But since professional jeans were patented in 1871 by Jacob Davis and Levi Strauss in US, jeans became one of the most popular and fashionable dresses world wide, if not the most popular. 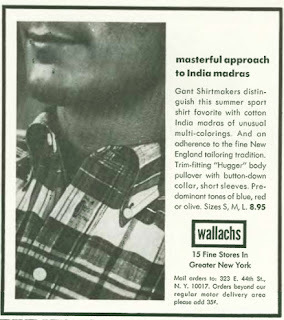 It is a unisex dress used by all classes and ages, as we all know.I still love it at my age.One type of jeans is fading jeans- guaranteed to fade or already faded!But I am sure hardly anyone knows that there are cotton- non denim- shirts which are guaranteed to fade!It is named 'Bleeding Madras'!! 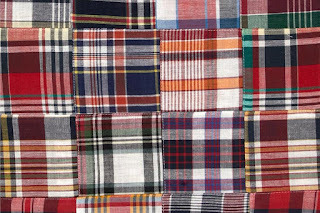 Bleeding Madras, as the name indicates, come from India.Bleeding Madras was once the fashion craze in US-especially in the 1950s and 1960s in California and New York.They were marketed with a guarantee to bleed and fade!Like Jeans, Bleeding Madras was used initially by the poor working class of the Madras(Chennai) region of India.But the west took it to a different level in fashion- a status symbol of the wealthy!! 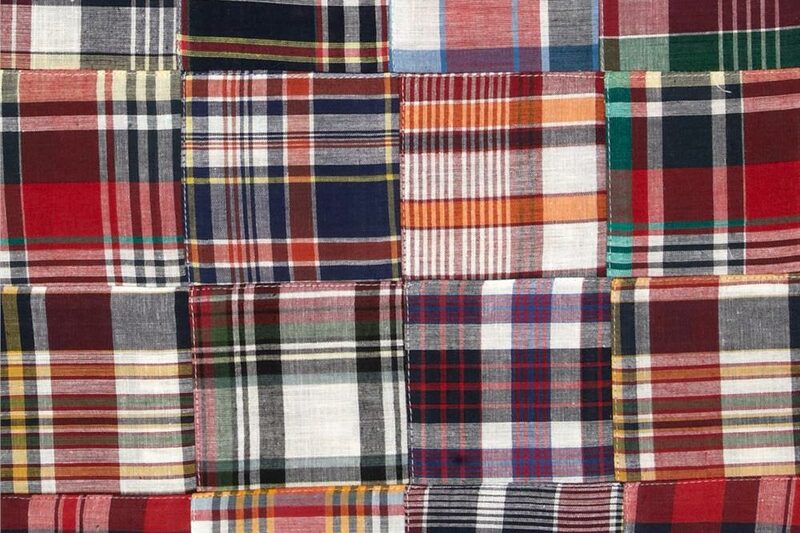 Calico originated in Calicut(presently known as Kozhikode),South India as early as in 11th century.It was a thick cotton cloth woven by local spinners.But it was British traders who arrived in India in early 1600 s who identified the fabric as a commodity to be traded.The East India Company promptly took it to Europe named it as Calico. Dongri is in Greater Mumbai now.Once it was a dock side village. People over there- largely improvised-used to make a special type of cotton cloth for them in the 17th century.It was cheap,coarse,thick which was known as 'dungri'.The English rulers of India then were interested and exported the same to England for making working clothes for the workers.During 1st world war the same clothing was used even for British Navy to withstand the wear and tear of the environments they were working while the name 'Dungri' clothing changed to 'Dungaree' to suit English phonetics.The British were clever to re export it to other parts of Europe and US. Soon it was a hit everywhere. Dongri villagers and Indians never knew the popularity of their own making!Even now, I bet.The Americans including Levi Strauss started using Dungaree for Jeans along with Denim from Genoa,Italy! I am always amazed and amused by the different ways the British took advantage- exploited could be a better word- India while they were in control!Yet they managed to the appreciable level that they shook hands with Indians as friends before they left the country! !Even today the relationship is warm.I don't know whether the credit for this should go to the clever British or exceptionally tolerant Indian!! I had my first bleeding Madras shirt in 1969, when I was doing my Engineering.I knew that it was then a fashion craze among the youth of city bred Indians like me but nothing more.Those were pre TV days.India was not opened up.Forget about international brands, any ready made garments were hardly found or used in the country regardless national brands of Raymond and Zodiac were there.Bell bottomed pants and big dog collared shirts were in the fashion for men but all stitched or custom made to size!To be honest I never knew at that time that Bleeding Madras- more popularly known as just Madras- was a fashion rage among the youth of US. Instead I was under the impression that it was an impact from some Bollywood stars. 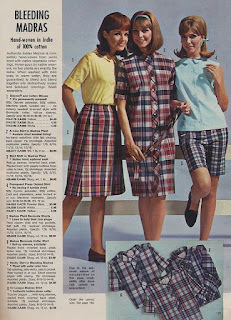 It is told that American novelist SE Hinton portrayed Bleeding Madras as the dress of the rich in her famous novel 'The Outsiders'.The novel was later filmed in the same name which was a Hollywood hit.Anyway not only as the shirts but blouses,beach shorts,skirts and aprons came out in the new cotton patterns all over America including in Hollywood.Bleeding Madras originally intended for the poor working class in India caught on even the footwear of the men and women of US alike!!! India to this day..If Indians can manufacture and export to west one of the best single malt whiskies in an Indian name,this seems to be much lesser task! !